Having dry eyes is a fairly common problem that occurs when your eyes don’t make enough tears. There can be many reasons why you are not producing sufficient moisture and identifying a specific cause can be difficult. Dry eyes can affect otherwise healthy people and are commonly associated with contact lenses, life/work in a hot/dry atmosphere, working with computer screens and growing older. Some types of prescription-only medication can also cause dry eyes as a side effect – examples include antihistamines and antidepressants. Female hormonal changes – the menopause, taking the contraceptive pill in particular – can also reduce tear production and may help to explain why dry eyes are more common in women. Some people may also have episodes of watering eyes, which can occur if the eye tries to relieve the irritation by producing more tears. Experiencing dry eyes is also a symptom that is quite often reported by people with M.E. However, there has been no research evidence up till now to indicate that having dry eyes is more common in people with M.E. than it is in anyone else, or that it is possibly linked to an underlying disease process. 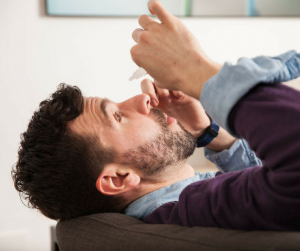 This new research adds to our knowledge in that it indicates having a dry eye syndrome may in fact be a risk factor for developing M.E. Dry eyes can also be a symptom of both eye disease and medical conditions that affect the production of tears by the lacrimal glands in the eyes. In relation to M.E., this can be important when it comes to ensuring a correct diagnosis. There is one condition in particular – Sjogren’s Syndrome – an autoimmune disease, whose primary symptoms are a reduced ability to produce tears and saliva. But it can also cause disabling fatigue, joint pains and other M.E.-like symptoms. More information on the pathological and clinical overlaps between M.E. and Sjogren’s Syndrome can be found in the clinical assessment section of the 2018 ME Association clinical and research guide. Having a persistent problem with dry eyes should always prompt a visit to either your doctor or optician – just to make sure that it is not inked to either eye disease or another medical condition. As far as treatment is concerned, it is usually pretty straightforward. You can purchase what are called artificial tears in the form of drops, lubricants or ointment from a pharmacy or on prescription from your GP. These can all be very helpful, providing immediate lubrication and relief – although they may need to be used for some time, even indefinitely.